kids) Thereafter few of his family including brother, cousin, Aunt and uncle followed him. You may also remember Asoka as a TV and Radio cricket commentator in the 90s. Highlight of his commentating carrier was during the historic 1996 world cup win by Sri Lanka. 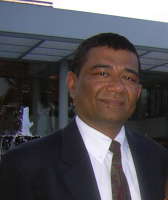 He was a regular cricket commentator and a sports presenter on Rupavahini and SLBC during the 90s. Rangika also worked for Hatton National bank prior to migration. Upon the birth of the 2nd child (Rakitha) Rangika took a break from work. She re-entered the work force in 2000 as a Customer Relation Officer in the Bank of New Zealand. Nathalie started her schooling at the Ladies College in Colombo. She studied at Ladies for just one year before migrating. After completing her secondary schooling at Wellington Girls College she entered the Victoria University for her higher studies. She excelled in her studies at Victoria which resulted in her been shoulder tapped to read for her Masters. Youngest of the family of 4, Rakitha was two and half years old at the time of migration. All his studies were done in New Zealand. He entered the Massy University in Wellington to study for his bachelors’ in Business Administration. In addition to his studies he has excelled in sports. He captained his College- Wellington College 1st eleven cricket team in 2011. He represented Wellington province in all age group cricket. His biggest achievement in cricket so far is getting selected to the New Zealand under 19 cricket team in 2013 thus becoming the 1st Sri Lankan born to represent New Zealand in Cricket. In 2014 he played in the ICC Youth World Cup held in Dubai.